In an old, abandoned McDonald’s Restaurant at NASA’s Ames Research Center in California, a group of space buffs are patching together and preserving a vital artifact from NASA’s glorious past: the FR-900 Tape Drive. Only a NASA engineer, I’m afraid, could have given such a critical piece of our collective history such a mundane and boring name. I say this because the FR-900 Tape Drive is the only piece of equipment on earth that can play back the very first close-up images from space that humans took of the moon. These were shot by the NASA’s Lunar Orbiter spacecraft back in 1966 . Fortunately for all of us, someone realized that NASA was blowing it. Nancy Evans, the co-founder of the NASA Planetary Data System agreed to haul off the machines, each of which weighed 1000 pounds, and she stored them in a barn in Sun Valley for several decades. She desperately wanted to raise funds to digitize the images, and in 2007, she found two partners–Dennis Wingo at Skycorp Inc and Keith Cowling at Spaceref Interactive Inc. Together, the Lunar Orbiter Image Recovery Project team has patched together two of the tape drives and is now in the midst of digitizing some 1984 images in the old McDonald’s restaurant that they’ve taken over. Moreover, NASA has now recognized the value of what it nearly threw away. 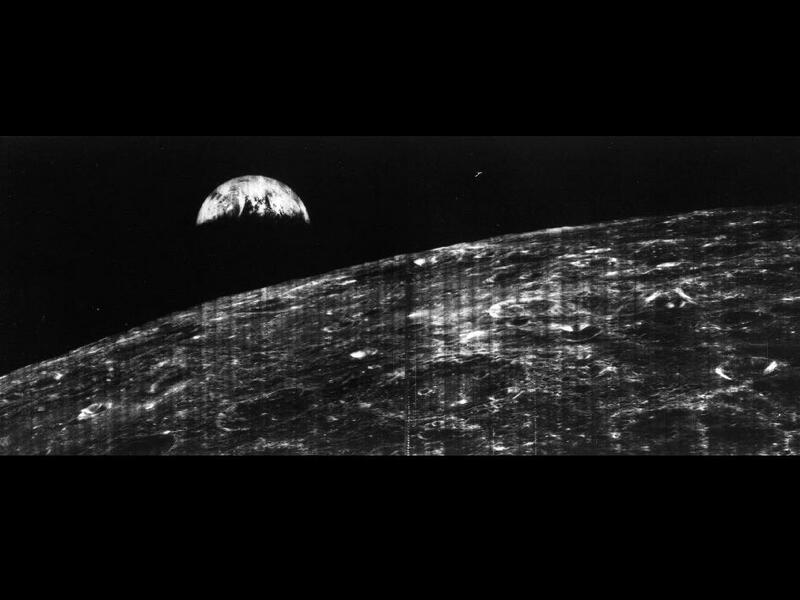 NASA researchers plan to compare the images from the 1960s with new photos taken of the moon by the next high lunar probe to be launched next spring. I think what happened to the FR-900 Tape Drive is a superb cautionary tale. We now store immense amounts of data on very ephemeral technology: DVDs, computer hard-drives and internet servers. We need to be thinking now very long and hard about how to preserve this for the future.